Is general manager at the social enterprise Premiki. Her expertise covers accessible tourism, employment of people with disabilities and social entrepreneurship. She studied history and finished an executive MBA program at IEDC Bled. 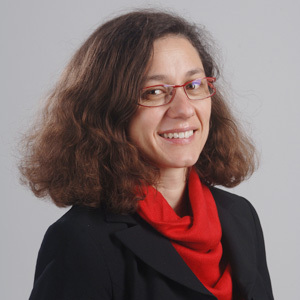 At the moment, she is also president of the Expert Board at National Forum for Social Entrepreneurship in Slovenia and coordinator of the Centre for Social Entrepreneurship at University of Ljubljana. In the past, she was also member of GECES and president of Slovenian National Council for Social Entrepreneurship. She was member of different working groups for development of social entrepreneurship and leader of different innovative projects as development of accessible tourism for which UNWTO award for innovation was achieved. Graduated in architecture from the University of Seville. With over 14 years of experience, and after collaborating with various architects settled in Madrid, Malaga, Seville and Barcelona, he runs his own architectural and urban planning studio in the city of Ronda since 2008. His works cover such diverse areas as intervention in the historical heritage, actions of public interest in land designated as not for building, singular hotel facilities design or the rehabilitation and re-interpretation of public spaces. In the town of Ronda it has carried out projects of interest such as the rehabilitation of the “Paseo de los Ingleses”, the reform of the “Jardines de Cuenca” or rehabilitation of the “Church of Santa Maria la Mayor”. Euken Sesé’s academic background has to do with education and business administration. He has been involved in the creation of public organisations for sustainable development at the regional level. He has broad experience in mediation between public intellectual capital management and licensing environments for the transformation of urban economic models for cities. Cities as spaces for public business opportunities, smart cities and urban clusters are major topics in the projects he carries out. Euken is a regular conference or event speaker and university graduate programme contributor in his area of expertise. He has used his deep knowledge to participate in European programmes and advise international organisations and municipal development agencies in Latin America. 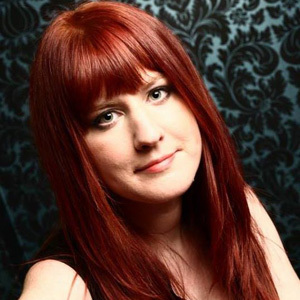 Is a programme manager of the “Ignite Peterborough incubator hub”. She has 13 years of youth, events and project management experience and has studied extensively in the fields of young people, policy and start up support. Is journalist at “El País”, one of the main newspapers in Spain. He is author of several news reports in different areas, from political corruption to architecture, environment or economy. 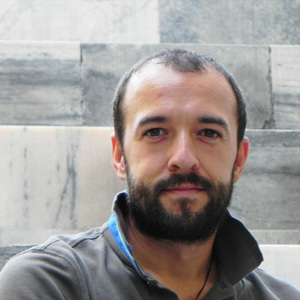 Javier is also associate professor at Pablo de Olavide University in Seville. Is city councillor and deputy mayor of Ronda City Council, councillor of the areas of public works, infrastructure and human resources. 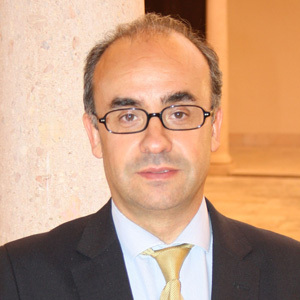 In 1992 he obtained a degree in law from the University of Malaga and since 1995 he is an active lawyer. He is father of four children and he has also combined his career with the direction of the Municipal School of Music since its foundation in 2000 until 2009. During this period, he directed additionally the Young Association of Music. 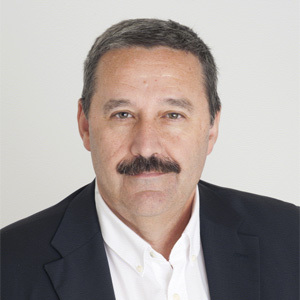 In the period 2011-15, Fernando-Heraclio was councillor and deputy mayor of Ronda, assuming education and public safety delegations, and afterwards the human resources area. Is city councillor and deputy mayor of Ronda City Council, councillor of the areas of economy and education. Even if she was born in Algeciras, Cadiz, se has been living en Ronda for a long time. Maria del Carmen got her degree in management and business administration in 1998 from the University of Wales. Since then, she has developed his career in the private sector where she has developed various business activities in the field of tax, accounting, administrative and property consultancy, from 1992 to 2011. Since 2011 she is councillor of the city of Ronda, in charge of economics, finance, procurement, innovation, statistics and services for the citizen, all during her first term. Currently, she is in charge of the areas of economics, teaching, local development and employment. Is a renowned entrepreneur, consultant and expert in entrepreneurship and social innovation. 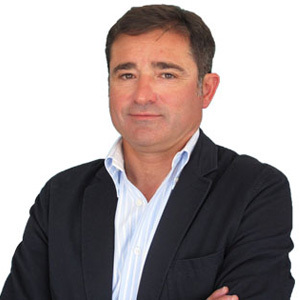 Ginés has initiated projects and own social enterprises in countries such as Ecuador, the UK and Spain. 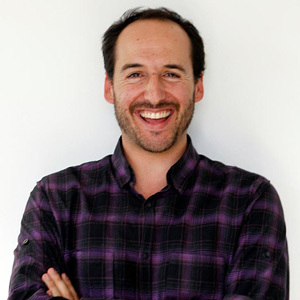 He is founder of “Movimiento Idun”, a social company with the mission of training, supporting and connecting agents of social change. Currently, he promotes the specialized magazine “emprendedorsocial.org” and a social entrepreneurship space “Innova Noria”, in “La Noria Malaga”. He has received several international awards, as WYSE International leader. 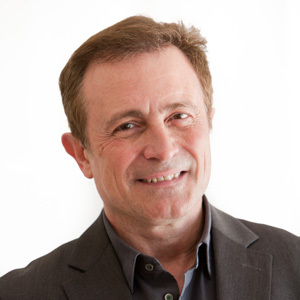 Ginés uses to collaborate as speaker and trainer in prestigious universities such as Oxford, Navarre, Mondragon, University College London and institutions like the AECID (Spanish Agency for International Cooperation for Development), the Andalusian Government or the NGO WYSE. 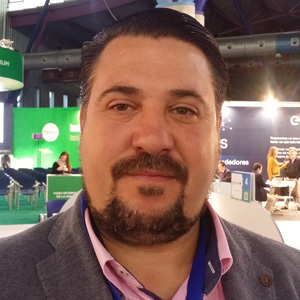 He is currently professor of the Course in Social Entrepreneurship at the UNED and produces the social entrepreneurship MOOC for the University of Málaga. 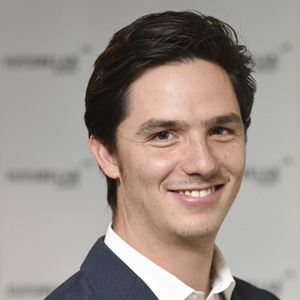 Additionally, he has worked for some of the most prestigious organizations supporting social entrepreneurs as UNLTD UK, Social Enterprise London and at “The Guardian”, he created the world's largest social entrepreneurs network. He has had the opportunity to work with and interview hundreds of social entrepreneurs, including the Nobel laureate Muhammad Yunus. Is project officer at Ignite Peterborough. 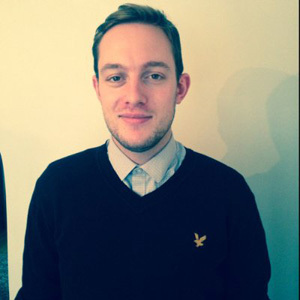 Whilst at university, he was a project manager for Enactus Enterprise team. He oversaw a project that created new services to be utilised within an economically deprived community and recruited university students on a voluntary basis to make these service provisions possible, and all placements for the students were relevant to their degree. By solidifying the recruitment channels he worked with, a sustainability model was created to ensure this project would have an ongoing social impact. Presenting at national competition and being a finalist in project sustainability awards for two consecutive years, he developed a range of critical skills that he could apply in further entrepreneurial projects. Nowadays he implements his entrepreneurial skills at Ignite Peterborough to support young people running start up businesses. 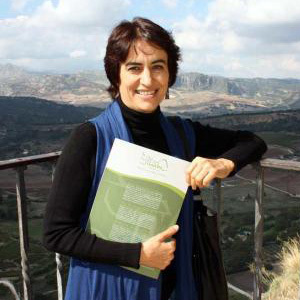 Is, since 2002, founder and managing director of “Centro Algaba de Ronda”, which is committed with the safeguard of the rural world through social innovation. 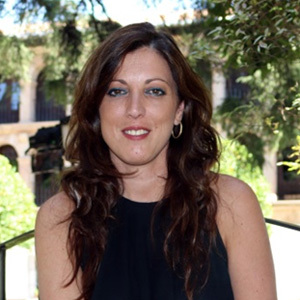 María holds a PhD in Human Ecology and Population at the Complutense University of Madrid and a MBA in Political Science and Sociology with a specialization in Anthropology and Social Psychology. She is author of four books on ecology, prehistory, primary education and sociology, including "Spain, Asylum in Europe" published by Planeta. She was also director of the area of ecology in Mediterraneam Magazine and coordinator of the collection of books “Tourism and Society” by Editorial Edymion. She has an extensive background as a sociologist in several public and nonprofit entities. In addition, since 2008 she is the councillor and president of the Andalusian Federation of Worker Cooperatives in Malaga province. Was born in the middle of the Pacific, in Tahiti, French Polynesia, 28 years ago. After studying in a business school, he joined the innovation department of Gemalto, world leader in digital security and high tech company working in mobiles technologies. Sparked by the book of professor Yunus, Christian decided to quit his job and travelled across Asia and mainly India to meet social entrepreneurs and feature them on its blog “Makesense.org” which mobilizes 20.000 volunteers across 120 cities and 70 countries around the world to help accelerate the impact of social business entrepreneurs. Today “MakeSense” has set up its own social business accelerator for early stage social businesses in Paris and Mexico and have developed a variety of programs with universities, corporations and the French government to engage youth to start their own social businesses or volunteers for exiting ones. “MakeSense” currently generates a sustainable business model to animate its worldwide community. Coordinates ¡La Colmena Que Dice Sí! (The Hive That Says Yes!) in Madrid. This initiative facilitates direct contact between local producers and consumer communities (hives). The project has the dual purpose of supporting local, sustainable agriculture and providing quality food without intermediaries. For consumers, it is an accessible system –the buy online-, with the added value of meeting producers the distribution day, which takes place once a week at a given point in the city. In addition, anyone can create a “hive” in their neighbourhood or village, dedicating a few hours a week. He will become the head of the hive, and because of this job, he gets an additional income of 8.35% of sales, with a positive impact on the economy of the region. In Spain there are 30 hives spread around Madrid, Barcelona, Valencia, Cordoba and Granada. This initiative has been replicated at European level, with 60,000 orders per month, 4,000 producers and more than 800 hives in France, Spain, Belgium, Italy, Germany and the UK. Was born in Bilbao but he lives in Malaga. He is the CEO of Garbionda Sustainable Maintenance, a business initiative that emerged as his idea while working in a company dedicated to road maintenance. Since 2007, he has investigated the field of conservation and road safety to develop innovative solutions in this sector to cover the obvious market needs. Garbionda S.L. was established in 2014 with an initial team that covers the areas of marketing, legal, supply and logistics, engineering and IT and, more recently, international. Since the founding of Garbionda, this multidisciplinary team has achieved several awards. In 2014, they received the first "Andalucía Emprende" award in the category "CREA" by the regional government of Andalusia; in October 2015, the second prize "Do It Now" by Philip Morris, among 715 nominations, and best company I + D + i in the contest "Excellent Andalucía", promoted by the newspaper La Razon . Recently, in February 2016, this team has won the award Best National Company I + D + i. Is a member of the European Parliament, integrating the Portuguese Delegation of the European Popular Party (EPP). She is from the Azores, a Portuguese outermost region, which their interests she proudly defends. 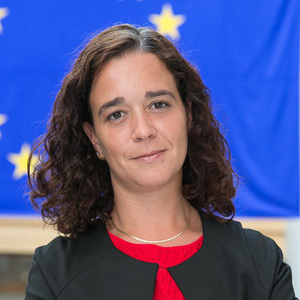 Sofia is member of the Employment and Social Affairs Committee, and substitute on Agriculture Committee, where she has been working to get excellent outcomes for Azorean and Portuguese citizens, as well as for all the Europeans. She is member of the Delegation for the Relations with United States and substitute for the Delegation for the Relations with Canada. She has a degree in mathematics from the University of the Azores, and a graduate diploma in School Administration. Sofia Ribeiro is a teacher and, until the election, she was the president of the Azorean Democratic Union of Teachers of Azorean Union of Workers (UGT-Açores), member of the Secretariat of National Federation of Education and member of the Regional Council of Strategic Dialogue. Studied applied linguistics at the University of Warsaw and University of Mainz. 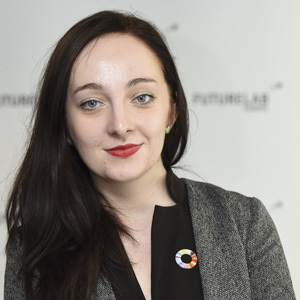 Now she works for the Global Entrepreneurship Week Foundation Poland and Stowarzyszenie BETA Polska (organiser of Model European Union Warsaw). She is also a member of the Young Diplomats Club, Humanity in Action senior fellow and alumna of the German civic education programme, ‘Politische Bildung in Aktion’. Next to European and democracy education, she is also interested in the development of the third sector in Poland. Is dedicated to the holistic and multi-disciplinary field of global development. Having gathered experience in Africa, Asia, Europe, and the Americas working with organizations such as the World Health Organization and institutions, both within and outside of the UN, has allowed Franz to build strong links with governments, multilateral agencies, foundations, and the private sector. He serves as the President of the Jury of the World Summit Youth Awards and is part of Ashoka’s ChangemakerXchange for innovative social entrepreneurs. Currently, he consults for organizations including the Clinton Health Access Initiative. 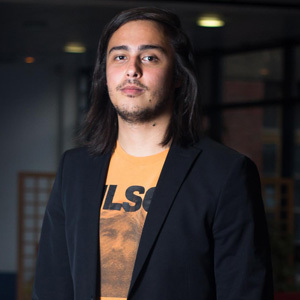 Is Senior Policy Analyst at the European Policy Centre (an indenpendant Brussels-based think tank) and Leader of FutureLab Europe, a programme empowering the voice of young people in Europe. Within the EPC, Claire covers a wide range of policy areas related to European economic and social policy. 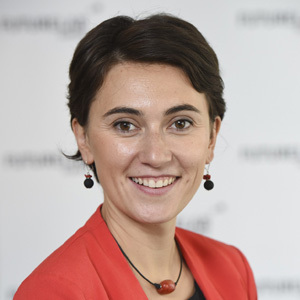 She has worked on various research projects, incuding „Well-being 2030“, a two-year research project, co-financed by the European Commission, and „Completing the Single European Labour Market“ – a project which looked into how to optimise labour mobility in Europe. She has also researched the impact of the EU Multi-annual Financial Framework at local and regional level and was nominated as expert by the Committee of the Regions to provide input for its opinion on the EU Budget 2015. She led the EPC Task Forces on industrial policy and is currently leading the Task Force on Youth Employment as well as an expert workshop on social investment. She has written widely on cohesion policy, the EU budget, social policies and well-being, social cohesion, industrial policy and labour market policies and is a frequent public speaker. Prior to joining the EPC, she managed the Brussels Office of the Robert Schuman Foundation, a French think tank. 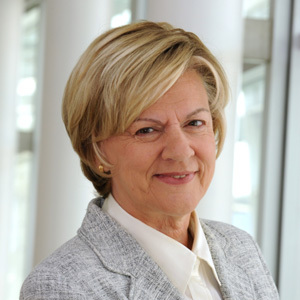 Is Emeritus Professor and holder of “la Caixa” Chair of Corporate Social Responsibility and Corporate Governance, IESE Business School, University of Navarra. He is a member of the Royal Academy of Economics and Finance, chairperson of the Professional Ethics Committee of the Catalan Economics Association, a member of the Anti-Corruption Committee of the International Chamber of Commerce (Paris) and a director of the Home Renaissance Foundation (London). 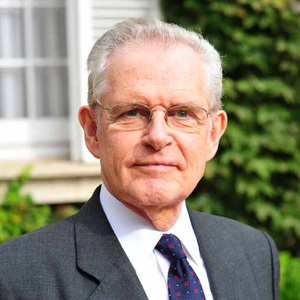 He has been a member of the Executive Committee of the European Business Ethics Network (EBEN), and founder and secretary general of EBEN-Spain. In 2008, he was awarded by the European Academy of Business in Society (EABIS) and the Aspen Institute for Business in Society awarded Professor for his career as a researcher. Is CEO of Foundation INNOVES, director of the Business Angels Network of Social Innovation, INNOBAS, and president of the Euro-Mediterranean network of Foundations for Social Economy, PEFONDES. His research and development have been focused in the study of the social economy in the rural context as well as its adaptability to the crisis situation. 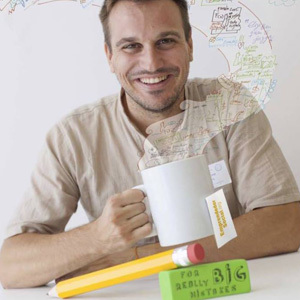 He teaches conferences and seminars in the areas of innovation and business development for SMEs. In his earlier work he has developed the PRODER Program and he has been director of the Unit for Promotion of Employment and the head of the Regional Training Plan in the rural management framework program of the European Network for Rural Development, performing tasks in various regions in Andalusia. In addition, through the Center for Rural Development (YIELD) he handled European projects LEADER I and II and the initiatives EMPLOYMENT (HORIZON, ADAPT, YOUTHSTART and NOW). He has a long experience working on the social entrepreneurship field and he is strongly committed with it. Through his daily professional activity, he is aware of social entrepreneurs needs, regarding financial support and other resources. Likewise, thanks to INNOBAS, he collaborates with financing institutions and entities related to social economy and social entrepreneurship, which provide alternative financial solutions to traditional financing. 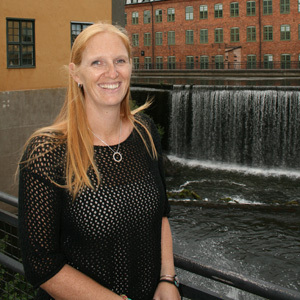 Is the regional manager and founder of Mitt Liv Östergötland, Norrköping, Sweden, where she works actively to increase diversity and inclusion in the Swedish labour market. She has an extensive experience working in areas such as diversity management, strategic HR, recruitment, management, social entrepreneurship, sales and marketing or tourism in 7 countries over 15 years. Is CEO and founder of Hackity. It´s a studio that uses design to change the world and make positive social impact in society with projects, products and services. 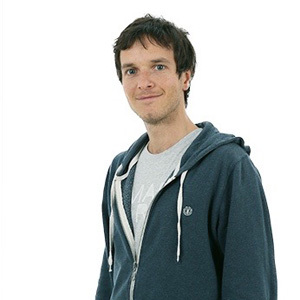 Eusebio is a sociologist and senior Interaction Designer and User Researcher. He has been living, working and breathing cutting-edge user experience for the last 14 years. His passion for people, digital product, understanding widget problems and social impact projects lead him to create Hackity. He believes in shaping the future through appropriate use of transformative technology. For that reason, at Hackity created Hackity App, a civic app to to reimagine cities and neighborhoods. Also, he is design expert at Google Developers and Sprint Master at Google Venture. And associate professor of Digital Experience Design at U-Tad. Set up her own office just after graduating from La Villette in 1978 while studying sciences politiques in Paris where she completed a postgraduate diploma in urban planning in 1979. International renown came quickly; as early as 1990 she won her first major commission: “the Banque Populaire de l’Ouest in Rennes” recognized by numerous prizes and publications. Odile Decq’s architecture offers a paradoxical insight, tender as well as severe, on our contemporary world. She has been faithful to her fighting attitude while diversifying and radicalizing her research by developing a complete universe, including urban planning, architecture, design products and art. A versatility that was awarded with the Golden Lion in Venice in 1996, the title of Designer of the Year Maison&Objet 2013 and, recently, with the Woman in Architecture prize “Prix Femme Architecte” and the “Médaille de Vermeil et d’Honneur” from the French Académie d’Architecture. 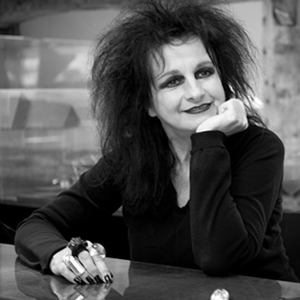 Moreover, Odile Decq has been guest teacher in prestigious universities like Columbia in New York, Bartlett in London, Kunstakademie in Vienna and Düsseldorf and Ecole Spéciale d'Architecture. Her passion for teaching has brought her in 2014 to create with Matteo Cainer the Confluence: Institute for Innovation Creative Strategies in Architecture in Lyon which proposes “to cross prospective and experimental visions, and to question and go beyond implicit limits of architecture”. Is M.Sc. in Telecom Engineering. His professional career started in the R&D department of a technological company. In 1999 he moved to the consultancy, and worked during two years in The Netherlands in networks deployment, participating in the first pilots of 3G mobile telephony in Europe. Since 2001 he is working for IDOM, a multinational firm of Architecture, Engineering and Consultancy professional services with origin in Spain. 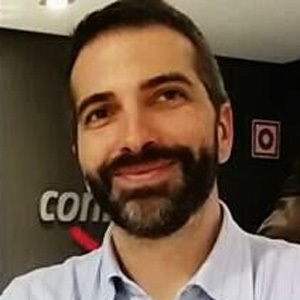 There he works as Director of the Telecom area (technology, security-safety, and communications) in the office of Zaragoza (Spain). Interested in urban context, he has worked as a consultant in different projects of urban planning and development. He coordinates the Smart Cities Group, an excellence group set by the company to help its engineers to provide to their projects with ICT technologies applied in turning the cities more efficient, sustainable and with better quality of life. His personal interest goes further the projects themselves and uses to participate in international forums about citizen empowerment, open-source place-making and digital transformation of the public space. Is the customer & partner experience (CPE) director of Microsoft Spain. She has worked over 20 years in positions as deputy director general, finance director, customer and partners experience head in a variety of industries such as information technologies, health and investment banking. 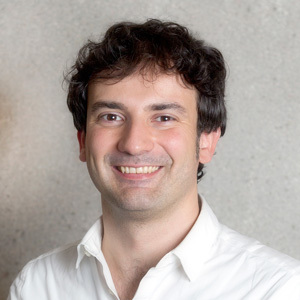 Serves as associate professor in Esade Business School where his research focus on innovation, particularly on Open Innovation and Data Science. His work has been referenced in HBR and he is a frequent speaker in conferences around Innovation, Big Data and Data Science, Smart Cities, Living Labs and Open Data/Government. His background is a mix of Management Science (PhD, MRes, MBA) and Computer Science /A.I. (MSc, MRes). Esteve is also highly involved in European Projects and EU organizations having coordinated and participated in many EU projects on Innovation and Smart Cities. He is passionate about how we can use IT to redefine governance and reinvent citizenship in the XXI century transforming cities from service providers to ecosystem orchestrators and therefore fostering growth and promoting entrepreneurship. Is the manager of the technical office of Smart Social City, part of Smart Knowledge, a Spanish firm devoted to the field of social innovation. She obtained her architectural degree from ETSAM, Master in cultural heritage restoration and rehabilitation and expert in development cooperation. 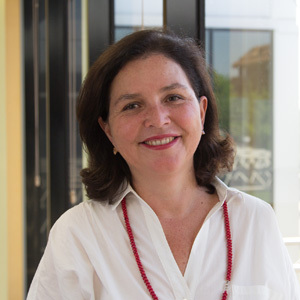 Marta has over 20 years of work experience managing development, architectural, transportation and culture-related projects in the private and public sectors in Spain as well as in other countries, mainly in Latin America. Is senior police advisor on health, social and migration at the European Policy Center Former director responsible for “Europe 2020: Social Policies in Directorate-General Employment, Social Affairs and Inclusion of the European Commission”. During her distinguished career in international public health, Lieve has worked as public health advisor to the Ministry of Health, Mozambique, Kenya, Rwanda and Cape Verde Islands; as task manager of a research programme on pregnant women and new-borns in Rwanda; and as director of a research programme on sexual and reproductive health in Kenya and in the Tropical Institute in Antwerpen, Belgium. She is medical doctor and holds a PhD on social policies. RondaForum is an initiative of Iter Alumni RMR.